"I make this pizza dough regularly for my family and it's great. We make it every week and it's always great tasting." Mix beer, Parmesan cheese, yeast, salt, pepper, and granulated garlic in a large mixing bowl, stirring to dissolve salt. Let mixture stand until yeast forms a creamy layer, 10 to 20 minutes. Stir in olive oil. 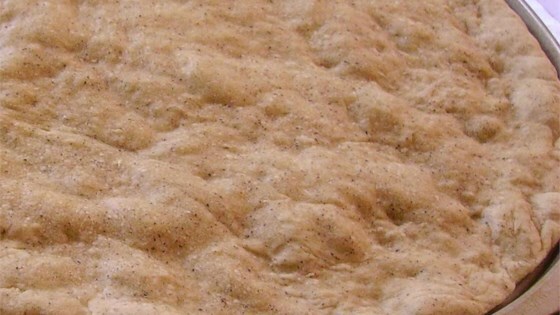 Stir flour into yeast mixture until dough is smooth, adding small amounts of beer or flour if dough is too dry or sticky. Let dough rise 1 hour. Punch down dough and roll out into a pizza crust on a floured work surface. Watch Chef John make super-easy no-knead pizza dough. Double the recipe for a larger pizza. If 4 or more people, you should double the recipe. Bake pizza in 350 degree F (175 degree C) oven for 20 to 40 minutes, depending on size, until bottom is golden brown. You can bake it on a pizza stone, screen, or a pan of any size.